In this Oct. 29, 1960 file photo, Jane Fonda, left, and James MacArthur, right, poses with Celeste Holm, starring in the play "Invitation to a March," outside the Music Box Theatre in New York on opening night. 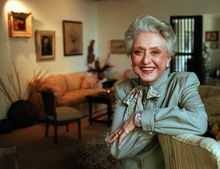 MacArthur, who played "Dano" in the original version of television's "Hawaii Five-0" and was the son of actress Helen Hayes and playwright Charles MacArthur, died on Thursday, Oct. 28, 2010. He was 72. Actress Celeste Holm poses at a friends' home in Santa Monica, Calif., March 12, 1997. The Academy Award winner talked about the rigors of starring in the new CBS series "Promised Land", a spinoff from the hit "Touched by an Angel." Olympia Dukakis, left, talks with Richard Dreyfuss, center, and Celeste Holm during a rally held to support striking television commercial actors, Monday, Sept. 18, 2000, in New York. The Screen Actors Guild and the American Federation of Television and Radio Artists which represent 135,000 actors, have been on strike since May 1 over disputes on residual fees, money paid to commercial performers each time an advertisement airs. 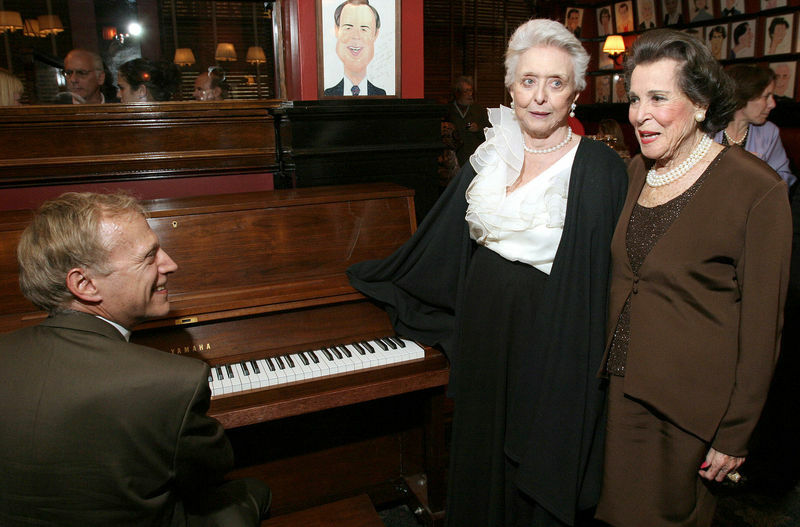 Actress Celeste Holm, second left, sings with Kitty Carlisle Hart, third left, and Musical Director David Lewis during her 85th birthday celebration at Sardi's Restaurant in New York Thursday, April 29, 2004. 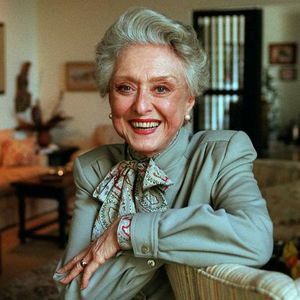 In 1947 Holm received the Academy Award for best Supporting Actress for her role in "Gentleman's Agreement." 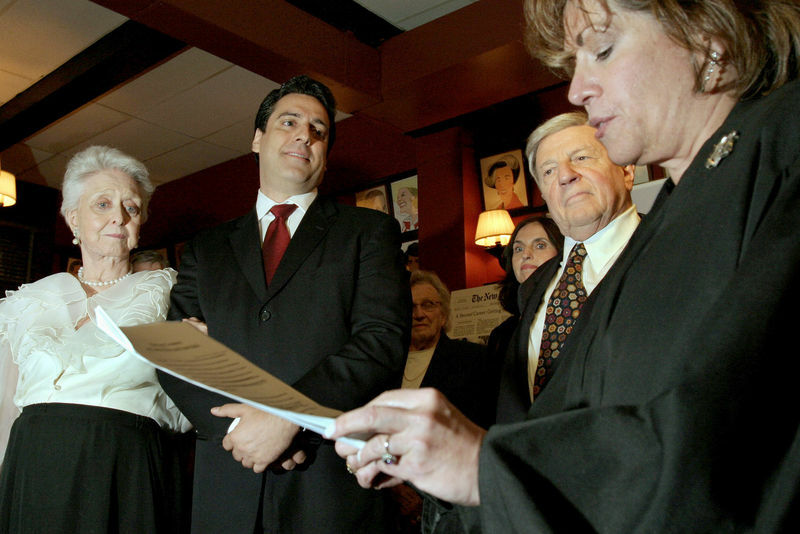 Actress Celeste Holm, left, is wed to singer Frank Basile, second from left, by New York Supreme Court Judge Barbra Kapnick, during her 85th birthday celebration at Sardi's Restaurant in New York Thursday, April 29, 2004, as best man Donel Lafino, second from right, looks on. 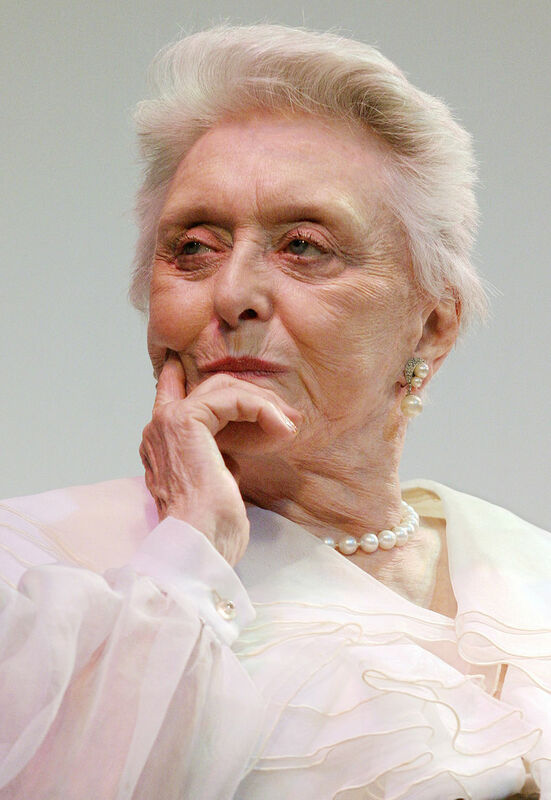 In 1947 Holm received the Academy Award for best Supporting Actress for her role in "Gentleman's Agreement." 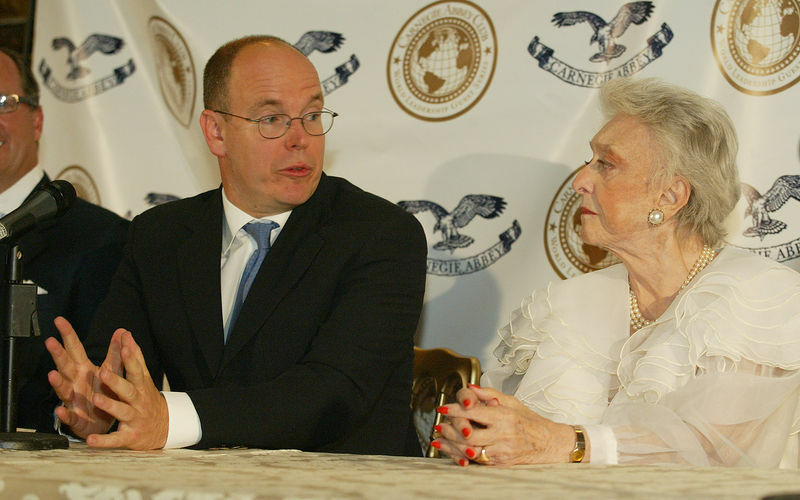 Prince Albert II of Monaco and Celeste Holm, right, original star of the film "High Society', answer questions during a press conference at Marble House mansion in Newport, R.I., Saturday, Aug. 12, 2006. Prince Albert was in Newport to celebrate the 50th anniversary of the film 'High Society', starring his late mother Princess Grace Kelly, and attend the Newport Jazz Festival. 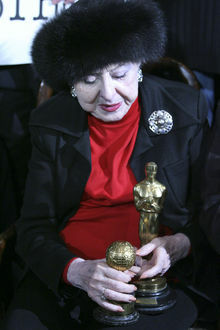 Actress Celeste Holm is photographed during a news conference Tuesday, Jan. 22, 2008 in New York. 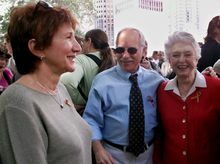 More than 40 Oscar, Emmy, Pulitzer, Writers Guild, Humanitas, Obie, Tony award winners gathered at "The Players" to support for the writers guild strike. 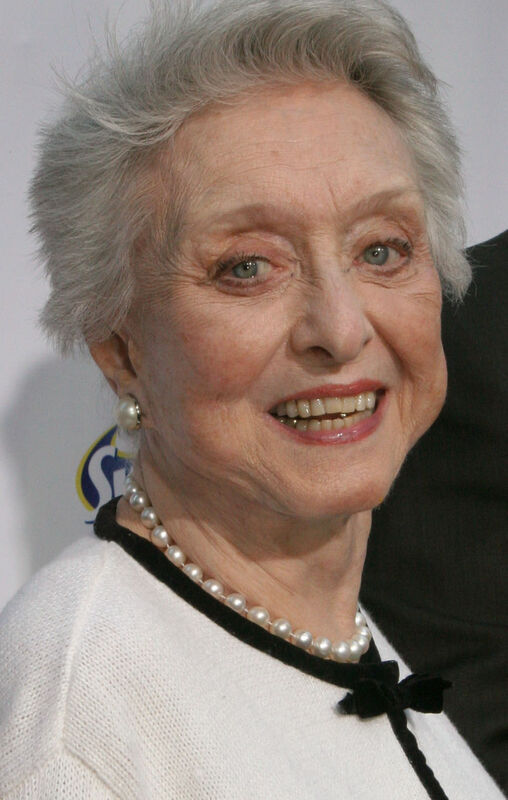 Actress Celeste Holm poses for photographers as she arrives for the screening of the digitally restored version of Walt Disney's original animated feature "Cinderella" at the Ziegeld Theater in New York Sunday Oct. 2, 2005. The screening was in honor of the movie's arrrival on DVD for the first time. The DVD is scheduled to be available October 4, 2005. 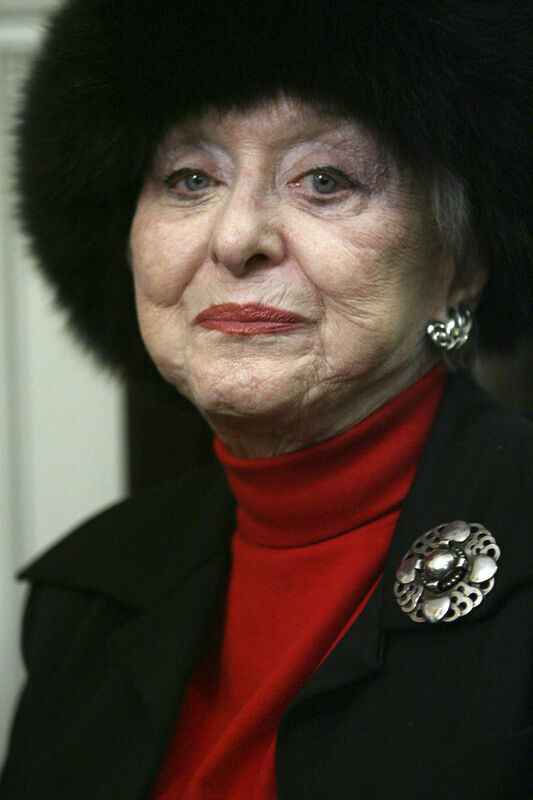 Actress Celeste Holm celebrates her 85th birthday at Town Hall in New York on Thursday, April 29, 2004. 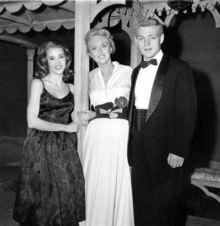 Arts Horizons and MODA Entertainment hosted a screening of the 1947 film "Gentleman's Agreement" for which Holm won the Academy Award for best supporting actress.